Sue joined the Equus team after 12 years experience in the painting and decorating industry. She has always enjoyed the industry and started with the Equus Industries Southern branch in January 2006. Sue has also completed a certificate in Interior Design, and a Diploma in Professional Interior Design, which has given her a real eye for colour, and a creative flair when it comes to colour and arts. 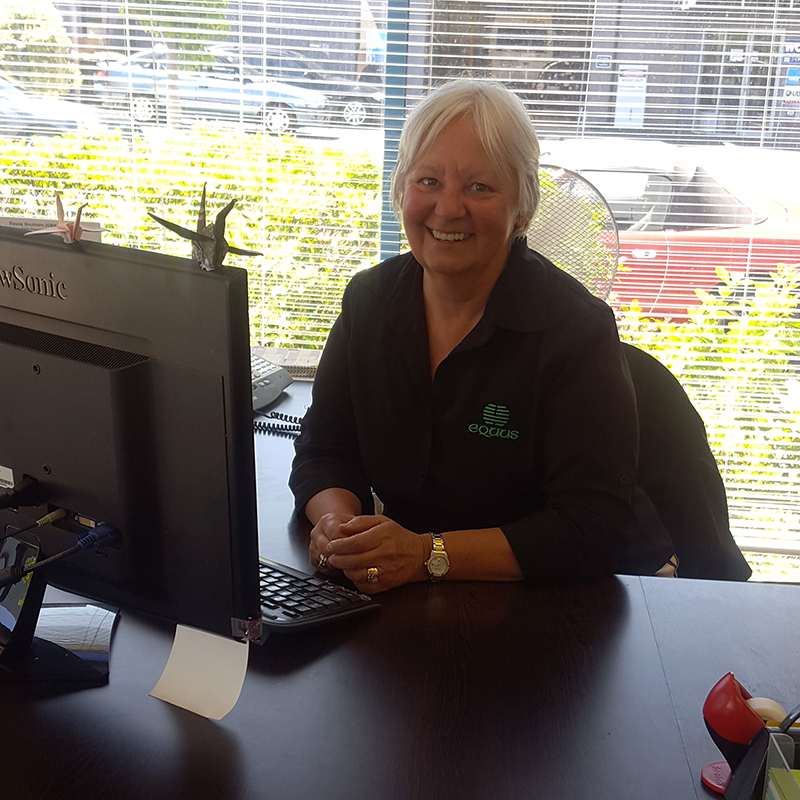 Sue prides herself in her office administration role, and enjoys focusing on customer service. She enjoys the communication she has with our customers, and other members of the team on a daily basis. When Sue is out of the office she loves exploring the outdoors. She is a keen cyclist and camper, getting out with the campervan and the bike as much as she can. Sue is also a proud Nana and enjoys spending time with her growing family.